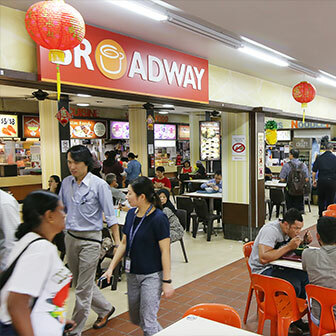 Amidst the flavourful experiences of everyday life, Broadway provides people with a moment of cheer and rest in the comforting familiar environment of our coffee shops and food courts. Broadway draws people from all walks of life to its many delicious yet inexpensive options. The heartbeat of the neighbourhood, Broadway is a place where many find the flavours of everyday life. 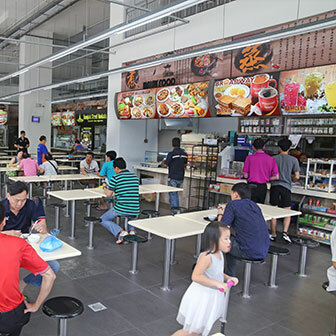 We are one of the leading food-centre chain companies, renowned for its quality food at value pricing and continuous efforts in satisfying the needs of our customers. To enhance the dining experience for customers by providing them with utmost comfort and a warm ambience where they can enjoy quality meals and services. 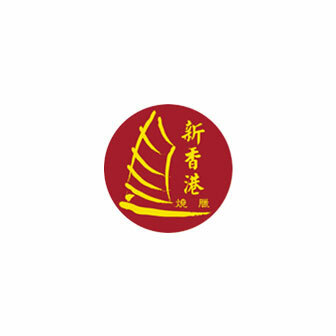 Broadway opened Blk 414 Yishun in year 1997. 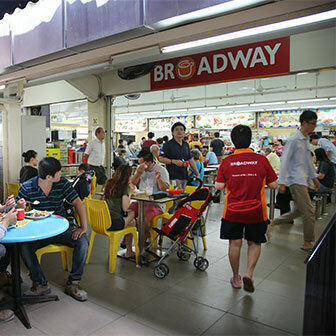 Broadway opened Blk 644 Hougang in year 1998. Broadway opened Blk 631 Ang Mo Kio in year 2000. 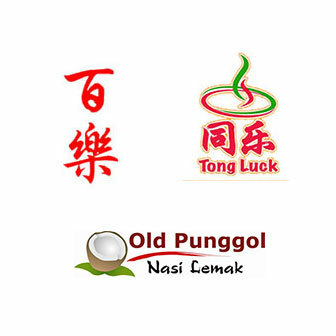 Broadway conceptualized Bai Le Seafood, Old Punggol Nasi Lemak, Tong Luck Economic Rice in year 2003. Broadway conceptualized New Hong Kong Roast Delight in year 2005. 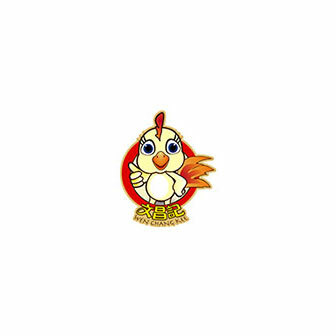 Broadway conceptualized Wen Cheng Chicken in year 2008. 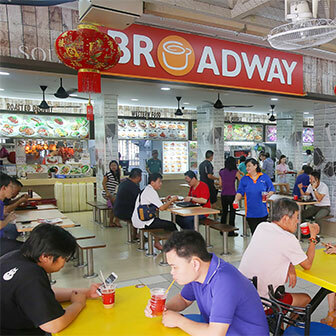 Broadway opened Sim Lim Square Food Court and conceptualized Hougang Fish Ball in year 2012. 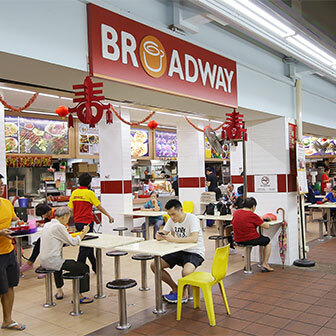 Broadway opened Blk 682 Hougang, Blk 727 Ang Mo Kio and Blk 721 Ang Mo Kio in year 2013. 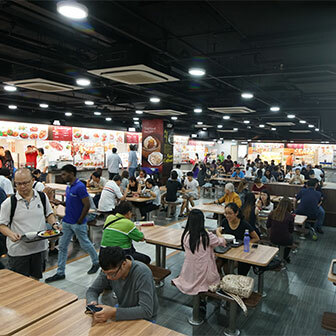 Broadway opened 61 Woodlands Canteen in year 2014.